CONGRATULATIONS! 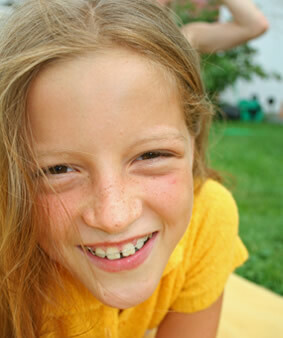 You have just completed the “active” phase of your orthodontic treatment! Creating your beautiful, healthy smile required a big commitment, but every time you look in the mirror, you’ll remind yourself that it was all worth it. In order to keep your smile looking great, it is very important that you complete the “retention” phase of treatment. As your teeth moved through your jaw bones, the teeth became loose. The retainers are inserted in order to allow the bone to firm up around the teeth in their new positions. If your retainers are not worn properly, there is a good chance that your teeth will shift. Removable retainers are worn FULL TIME for the first six months. The next six months require NIGHT ONLY wear. After that, you should continue to wear your retainer once or twice a week at night for as long as you wish. Remember, as long as you wear your retainers, your teeth will stay reasonably straight. Removable retainers are taken out for cleaning and sports. They can be removed for eating, but be careful because the majority of retainers are lost when eating! Often, they are wrapped in a napkin and accidentally thrown out. Dogs and cats love to chew on retainers (for some crazy reason). When your retainer is out of your mouth, keep it safe in your retainer case. 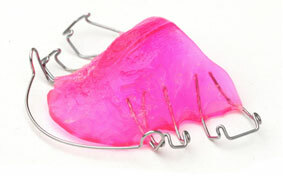 Do not expose your retainer to excessive heat or direct sunlight as it will warp the acrylic. Removable retainers should be kept as clean as possible by brushing with soft soap or toothpaste. Otherwise, hard yellow calculus will build up and the retainer can begin to smell. You can easily brush and floss around fixed-wire retainers. Fixed-wire retainers behind your teeth remain indefinitely. If you are having any kind of retainer problem, such as a loose or lost retainer, please contact our office immediately. If you wait for your next retention checkup, your teeth may shift in that period of time. Extra fees are charged for lost or broken retainers. Speaking may be a little funny when you first get your retainer, but relax; by the end of your first day with it, you will be talking and pronouncing words just fine. Development of wisdom teeth may influence the alignment of your teeth. Please have your dentist monitor your third molars and make whatever recommendations necessary for your overall dental health. The good news is that as long as you continue to wear your retainers long term, your teeth will stay reasonably straight.